In my latest ongoing work I continue to explore family, memory, and invented narratives through found photographs. 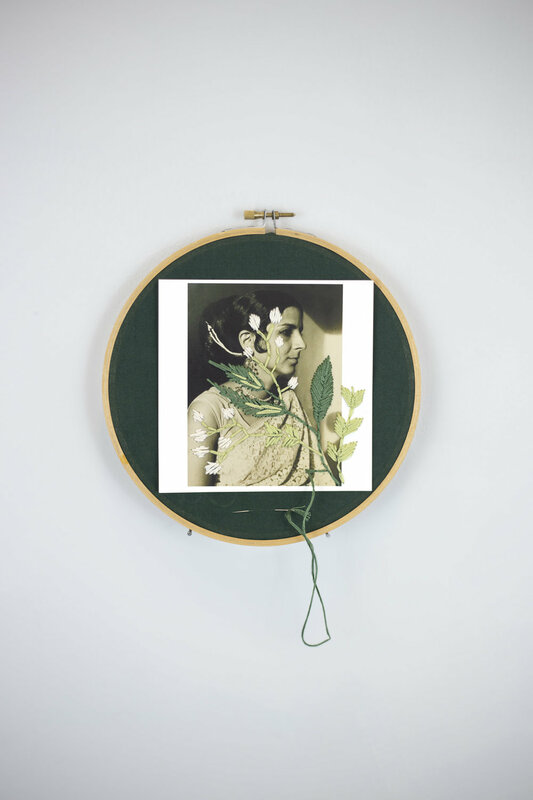 In using embroidery and stitching as a form of intervention in these images I am taking my own turn to participate in a craft practiced by my grandmothers. 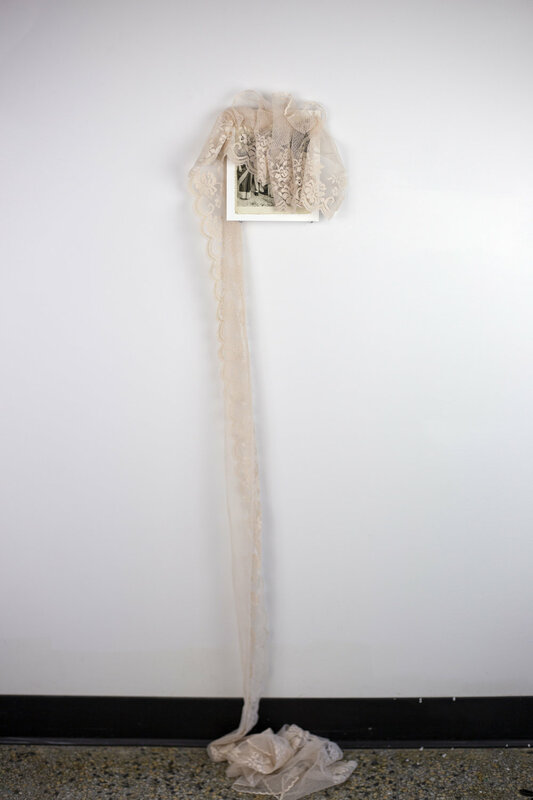 I distort, embellish, emphasize and obscure parts of photographs by applying decorative fabric and lace, embroidering into and around, and involving myself in a ‘crafting’ practice as a way to participate in a traditional and feminine practice while, ultimately, thrusting photography’s 2-dimensionality into a sculptural incarnation that further explores cultural memory and the ways in which family legacy influences how we inhabit these hybrid identities that many now live with.